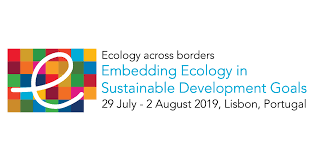 The 15th edition of the European Ecological Federation (EEF) Congress will take place from 29th July to 2nd August in Lisbon, Portugal, at the Faculty of Sciences of the University of Lisbon. The theme of the congress is “Embedding Ecology in Sustainable Development Goals” and it is meant to foster discussions on how to effectively implement the United Nations’ 2030 Sustainable Development Goals through the integration of basic and applied ecological research. Researchers, as well as students and stakeholders from various fields related to ecology and environmental sciences are encouraged to participate, sharing their results and expertise and contributing to a fruitful exchange of knowledge. The deadline for abstract submission is 5th April and for early bird registration is 30th April. All information are available at the congress website.